Silver can’t leave then it is just cooter and I to talk about the EBR???? And I haven’t put my new stickers on my bike that you sold me. So you have to wait a little longer. Which EBR are you riding? It might be a year or two... but I'll join you eventually. Last edited by Silverrider; 09-14-2018 at 04:01 PM. Dude! 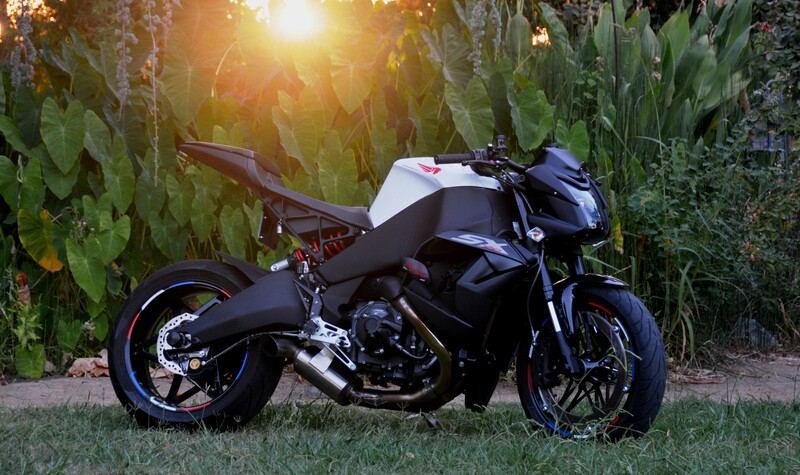 Someone with the depth of knowledge and understanding you have, how can you not appreciate the Buell for what it is? Why would you be in a Buell Forum if you don't appreciate this bikes? I think we know what we are getting into when we buy a Buell! I've owned my XB12Ss since 2009 and it's been a very enjoyable bike! Lower Center of Gravity than anything out there and very low unsprung mass, with a HD V Twin, Made in America and super fun to ride! I own a Custom V-Rod, a Honda Valkyrie, and a Ducati Diavel, alongside with my Buell. I've owned a host of other Jap bikes trough my life, but when I learned Buell was going out of business, I rushed to buy me one. I enjoy the extremely unique engineering of the Buell, the awesome sound with my Drummer exhaust, the attention that it draws and the conversation peace that it is! This Bikes will be extremely collectible as time goes on! When I ride my Buel with my Ducati Friends, they just can't keep up with me in the twisties; how is that for Great? The bike is extremely popular and coveted in Europe; I wonder why? 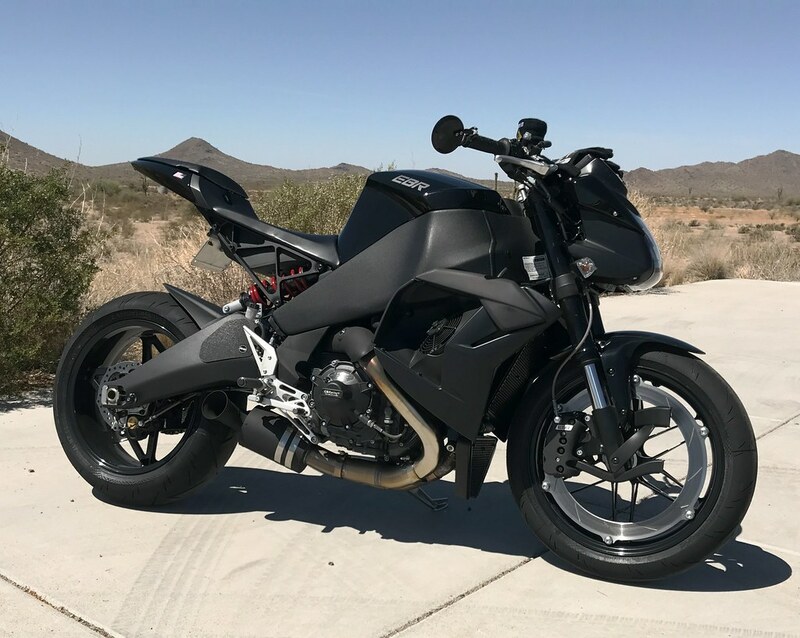 As Buell went out of Business, I'm also going out of business, and left with no choice but to sell my toys, and it really pains me to sell the Buell I will no longer enjoy the privilege of being a proud Buell owner and that's just Sad! So my days as a proud Buell owner are coming to an end. I will always have very fond memories of the experience of owning a piece of American Motorcycle History; a one of kind bike different from all others! I will forever miss my Buell! Awesome , nice mods!!! looks fast just sitting there !!!!!! Silver, are the wheels on yours painted like that from the factory? They look amazing. I bought my Buell when I was 49 and I'm 58 now; it was a great run and a lot of fun to own! Now I need to sell a couple of my other bikes. Next in line is my custom Screaming Eagle V-Rod, In case anyone knows of any one interested in it, please let me know. around 5K Miles, 290 Rear Tire, Screaming Eagle Motor, Fire Theme professionally airbrushed and Totally Customised.